A full-face CPAP mask can be a hassle to use at times; however, it doesn’t have to be. By reading this article, you will be learning the simple, quick guide on how to use a full-face CPAP mask. What, why and how are some of the few types of questions that will be answered regarding some of the issues you might face with a full-face CPAP mask. What are full-face CPAP masks? If you haven’t seen a full-face CPAP mask before, then you are likely to misunderstand that a full-face mask covers the whole face leaving you quite uncomfortable. On the contrary, full face masks are extremely comfortable masks that cover just the nose and mouth. 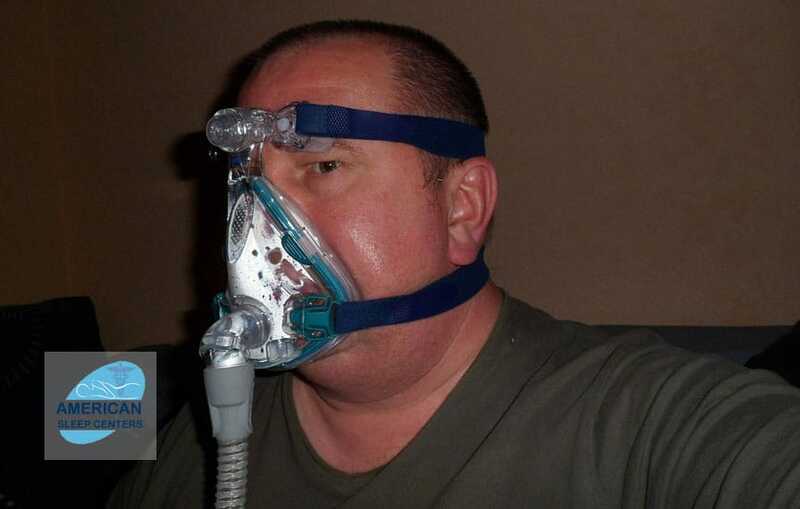 The mask is attached to a CPAP machine which allows you to breathe through the nose or mouth. The best thing about full face CPAP masks is that they automatically humidify, preventing the throat and the mouth from getting dried up. Why should I go for a full-face CPAP mask? A full-face CPAP mask helps you keep your mouth in place. Not just that, the mask makes flexible CPAP airflow possible through the mouth and nose. It is suitable for patients suffering from chronic sinus problems, patients who breathe through their mouth instead of the nose, and patients suffering from allergies and the cold. If nasal masks fail to deliver proper results, then a full-face CPAP mask can deliver these results. Therefore, most quality sleep testing clinics recommend using this type of mask. How to wear a full-face CPAP mask? Wearing a full-face CPAP mask for the first time can be a tricky exercise that doesn’t have to be. You should expect a headgear that comes with face straps. The mask is also attached with large-sized nose pieces. You will be required to inhale and exhale through the mouth. More likely the technician will guide you regarding connecting and disconnecting the mask from the CPAP machine. As you adjust the full-face CPAP mask to the CPAP machine you can practice inhaling and exhaling for a few minutes before sleeping. Breathing through a CPAP mask is a heavenly experience letting you have comfortable sleep. How to ensure you select a comfortable full-face CPAP mask? The most essential part of sleep is the comfort that comes with it. Which is why you should be sure when you pick accessories to guide you in sleeping an ideal CPAP mask uses a heated humidifier to allow moisturized air to pass. You can experiment with the humidifier and set it from anywhere between low and high depending comfort level. Using an extra nasal spray could help you stay moisturized preventing any dryness. The headgear and straps should be adjusted properly to fit you. If you are looking for a CPAP mask exactly like the one used in quality sleep testing clinics, then you should check out CPAP masks at American Sleep Centers.